Today's So Shoe Me is the Jocelyn by L.A.M.B., $295, available at Solestruck. Orange you glad you read this blog post?! Well, with a glossy patent upper and tonal heel this pointed toe pump by L.A.M.B. offers a throwback to power dressing with the perfect punch of color. The curved 5" heel adds a feminine shape to this modern sky high pump. 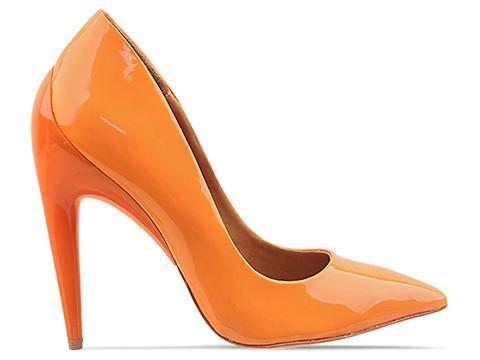 The luxe patent leather adds a chic shine and the bright orange tones will give any outfit a sunny disposition. The perfect heel for work or play pair them with a printed leather shift dress that can go from day to night with a quick switch of accessories. 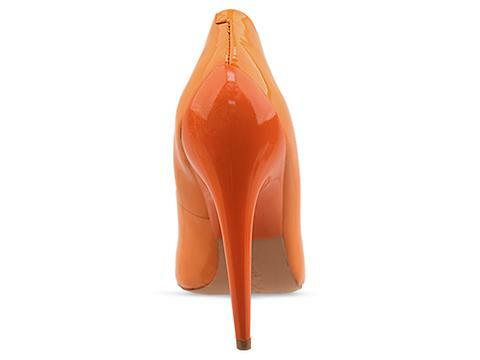 So Shoe Me a pair of bold and bright heels that will pump up my favorite separates with a pop of super saturated color.